This page follows Rebecca and friends (page 1). This image uses a poster of Mount Shuksan as a backdrop. With her head tilted back, her mouth opens slightly. 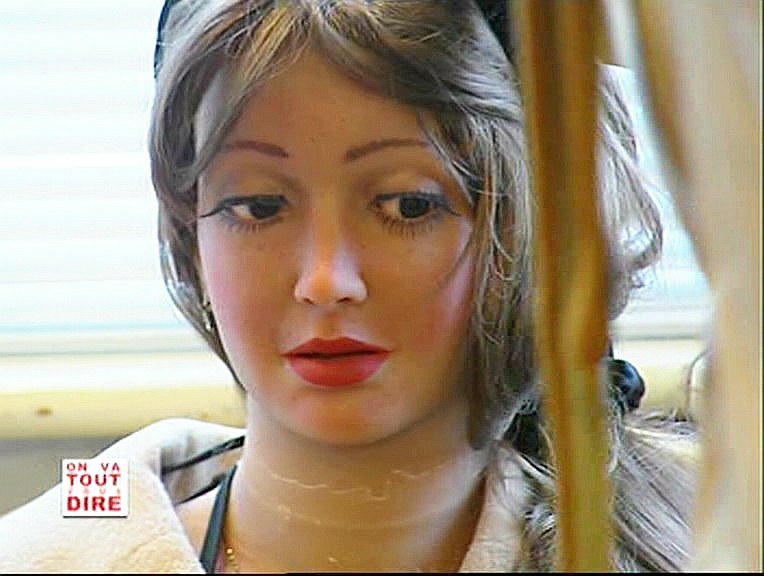 It is a mechanism unique to these old Realdolls where the head is permanently attached to the body. Rebecca’s eyes do not close, so I put sunglasses on her at bed time. 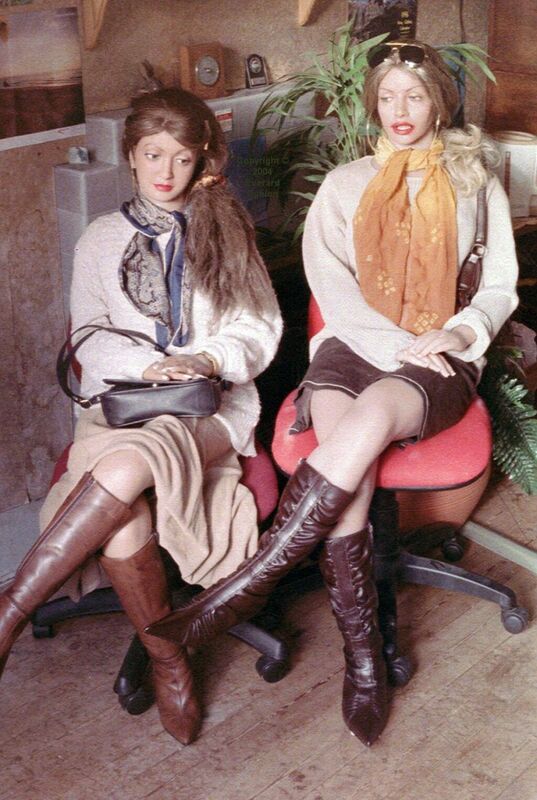 When Caroline arrived, she had endless advice for Rebecca, although Rebecca had been around far longer! I took the photo of Virginia standing in the yard before I glued her mouth closed. We picked up speed and emerged into the countryside. New impressions crowded my head […]; farms, villages, crossings, streams, old houses, stone walls, manicured pastures, all were so different and wonderful. How neat everything appeared. Each quaint little train station had window boxes and pots full of flowers […] It was the countryside of Arthur and Camelot, Robin Hood and Sherwood Forest. — from Fighter Pilot, the Memoirs of Legendary Ace Robin Olds, describing a journey from Scotland to East Anglia in 1944 after arriving from training in P-38 fighters in the USA. Faina is my older sister. 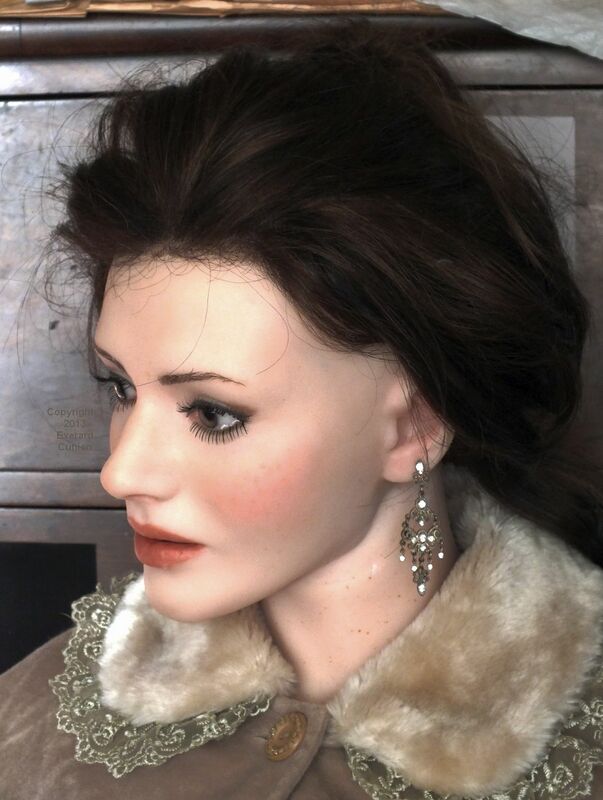 She was made by Oleg and Irina Bartok in Vladivostok in 2013. 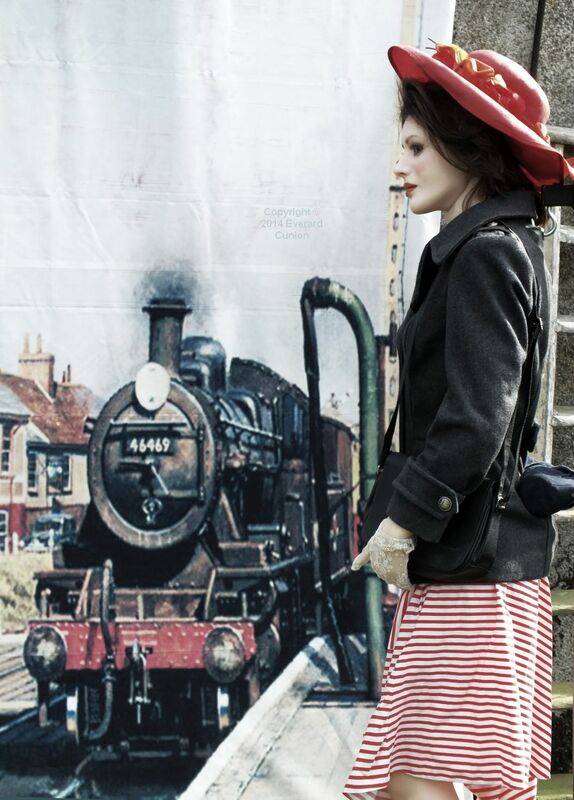 I used a ‘curtain backdrop’ (a print on fabric of a painting) rigged in the back garden to impart the illusion that she is standing on a railway station platform. 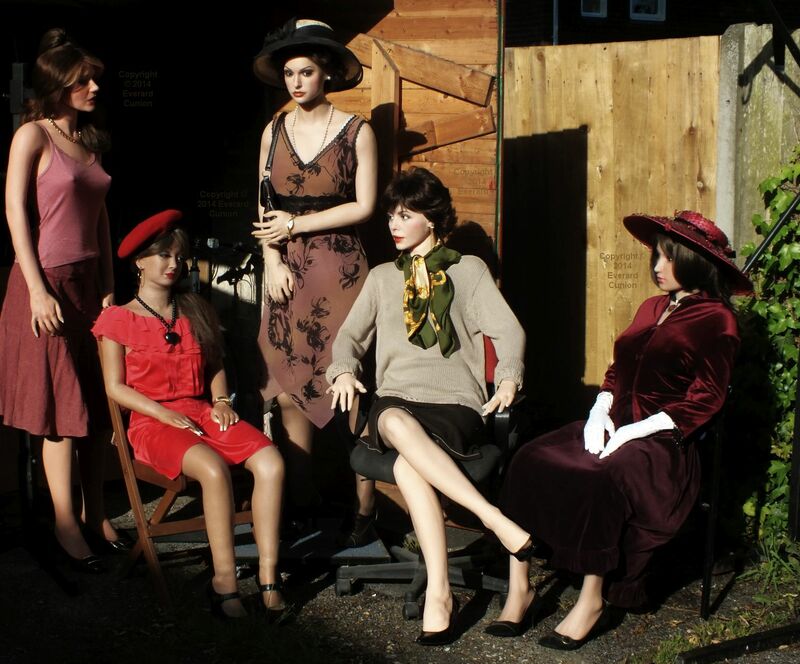 The five dolls here are Anoushka, Rebecca, Virginia, Varvara, and Lucy. 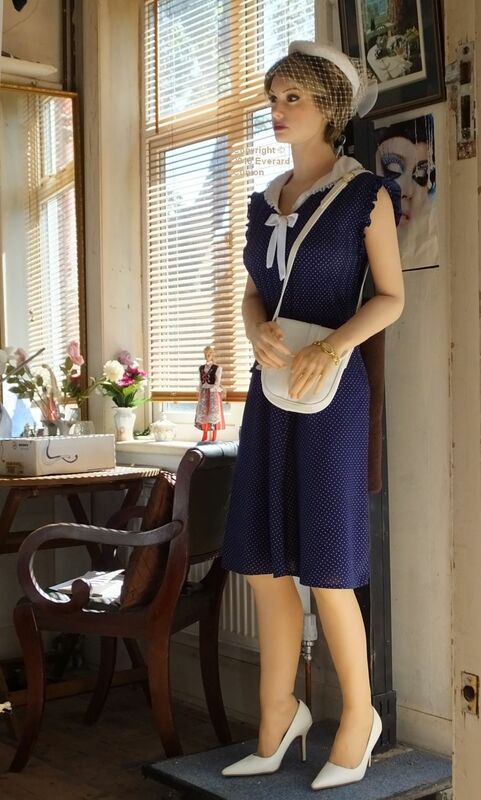 Virginia’s stand has a platform with castor wheels, so she seems taller here than she is. 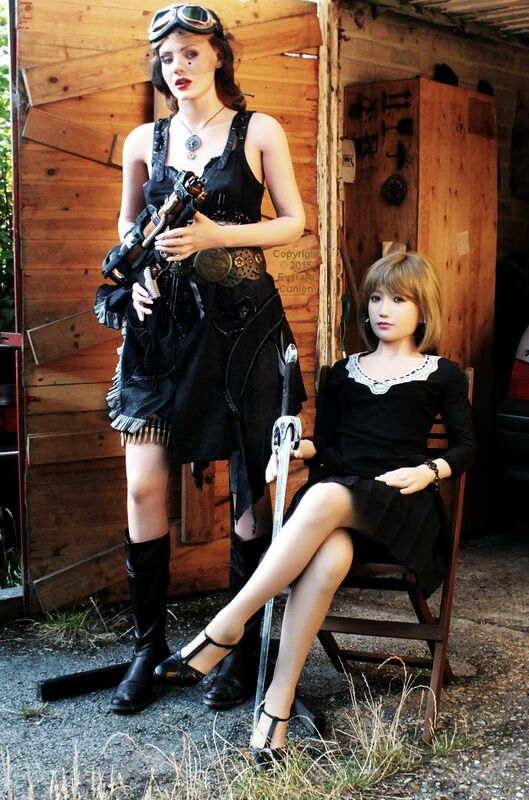 The steampunk dolls are Anoushka and Laura. 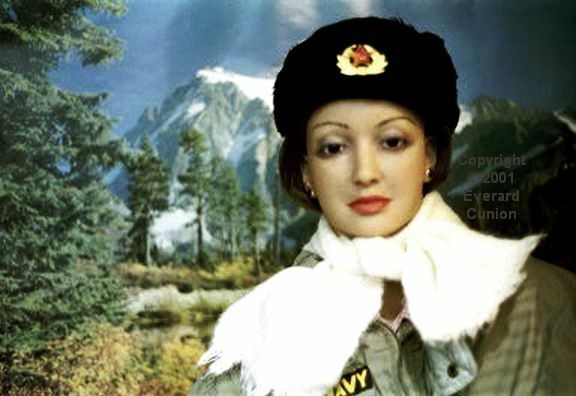 I took these photos of Cynthia as a World War II U.S. Women’s Army Corps PFC (attached to General Headquarters and assigned to the air force) at the ‘Shake and Stir vintage festival’ near Bournemouth in July, 2018. This topic continues on Rebecca and friends (page 3).